Welcome to our wonderful world of pretend play! Welcome to our wonderful world of pretend play! 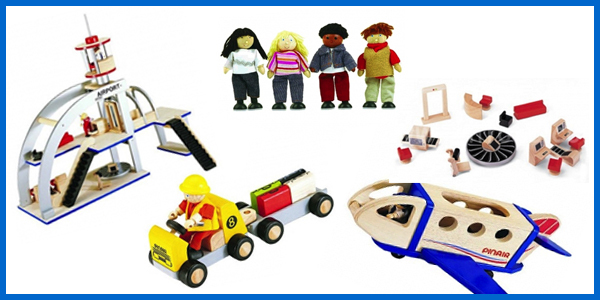 Encourage children to explore their imagination & learn new play ideas. 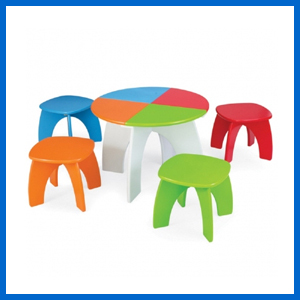 A sturdy, rainbow table with 4 matching stools colorfully painted in red, orange, blue & green. 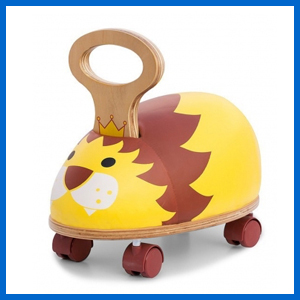 This charming, hand-painted push along wooden toy is perfect for little ones who are just learning to walk. 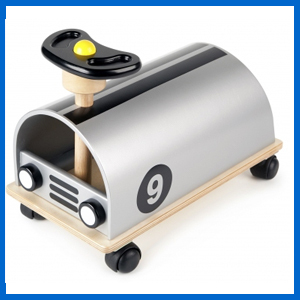 OurÂ Wooden Airport Play SetÂ comes complete with an executive jet, baggage cart & passengers. 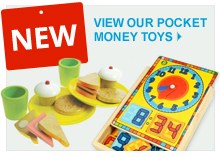 Packed full of accessories, it has everything a young pilot needs for hours of pretend play fun! Create your very own jungle safari adventure! 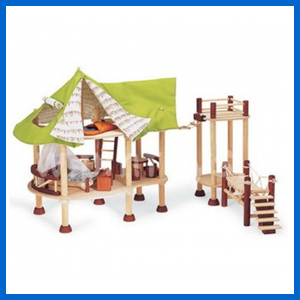 OurÂ Wooden Safari LodgeÂ comes with lots of accessories & has won many educational awards for itâ€™s outstanding quality. 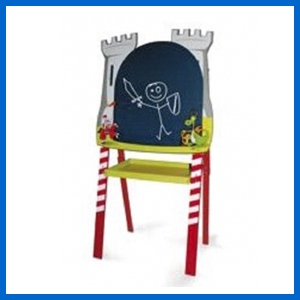 A wonderful product from French toy maker Jeujura, ourÂ 2 in 1 Knight & DragonÂ easel has a blackboard & magnetic whiteboard â€“ perfect for drawing & writing. 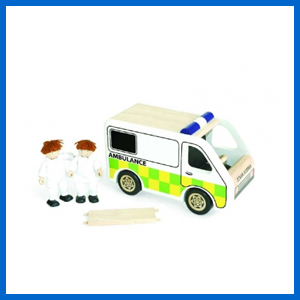 This woodenÂ Pintoy Ambulance Setcomes with two paramedics and a wooden stretcher. The ambulance has a lift off top for added play value. Itâ€™s a puppet! 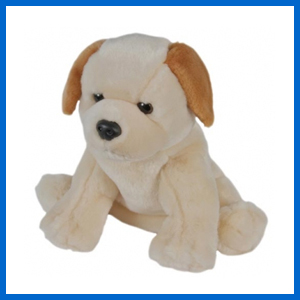 This charmingÂ Labrador PuppyÂ will provide hours of entertainment & is perfect for little children or adults with smaller hands. This entry was posted in Discounts!, Wooden Toy News, News and tagged sale, toys, wooden on February 1, 2016 by Kerry Berry. 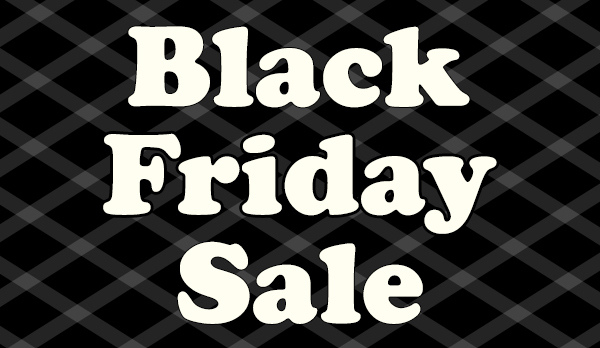 Discover ourÂ Black Friday DealsÂ for 2015! This entry was posted in Discounts!, Christmas, News and tagged sale, discounted toys, black friday on November 26, 2015 by Kerry Berry. 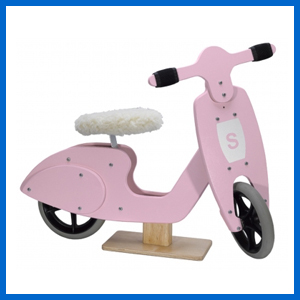 Visit the Wooden Toy Shop online sale. 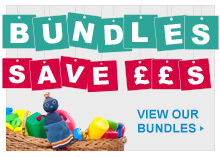 There are lots of great discounts on toys for toddlers, educational toys & lots more! Baby Bear Infant RockerÂ is made by the well-respected British toymaker Little Bird Told Me. 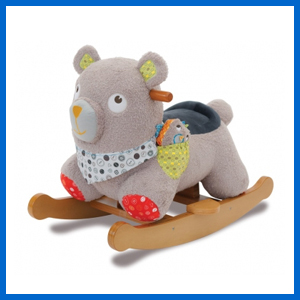 Baby Bear has a plush huggable body covered in a textured bouclÃ© fabric with lots of crinkles to delight young riders. In his pocket Baby Bear carries his curious friend Birdy Bear, who has a rattle in his tummy and crinkly wings. 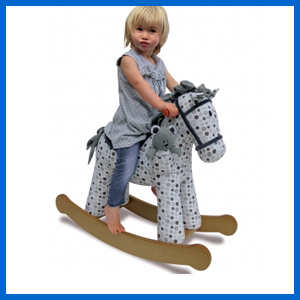 Dylan is a charming and stylishÂ vintage style fabric rocking horseÂ with a contemporary twist. Dylan has a sturdy wooden frame and a faux suede mane and tail and a pocket in which he carries his separate little friend Boo Bear, wherever he goes! OurÂ Softly Snail Infant RockerÂ from Little Bird Told Me is a beautiful and cosy plush snail rocker for children. 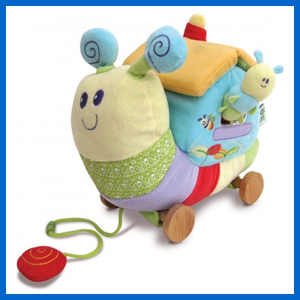 The plush 'house' on her back offers a cosy, supportive seat for a safe ride while she delights little ones with hidden squeaks, rattles and crinkles! 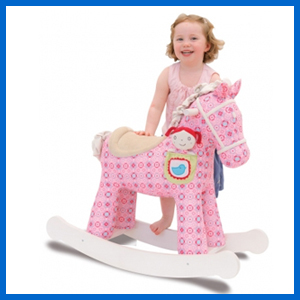 With her stunning pink vintage printed fabric body Ruby is aÂ beautiful rocking horseÂ from Little Bird Told Me! Ruby has a super soft scrunchy faux suede mane and tail and an appliqued pocket in which she carries Belle, her cute little friend. 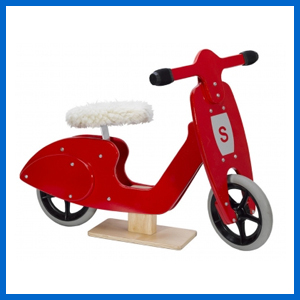 Our fantastic range of ride on toys are perfect for giving your young one the mobility they need in the months when those little legs are still wobbly. Our Skipper ride on toys are optimized for your child's safety, from the angled seat which keeps your young child from falling backwards, to the 360 degree swiveling wheels which allow them to go in any direction they choose without catching. Brought to you by British toy maker Skipper, our Balance Scooters are brilliantly designed and made to look like a real Vespa. 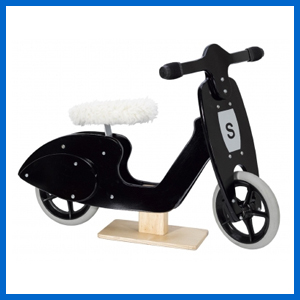 With fully adjustable handlebars and lamb's wool seat to go along with the wooden body, our scooters are not only comfortable but durable as well. Our Lemon Scooter is colourful with a retro style. 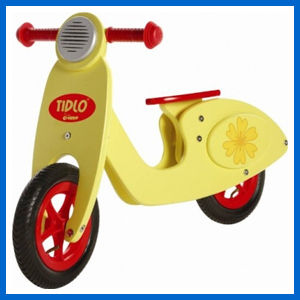 The bike has a sturdy wooden frame with easy grip handlebars and pneumatic tyres. The seat height is also adjustable and can be raised as children grow taller. This entry was posted in Discounts!, News and tagged sale, discounted toys, toy on August 23, 2015 by Kerry Berry. 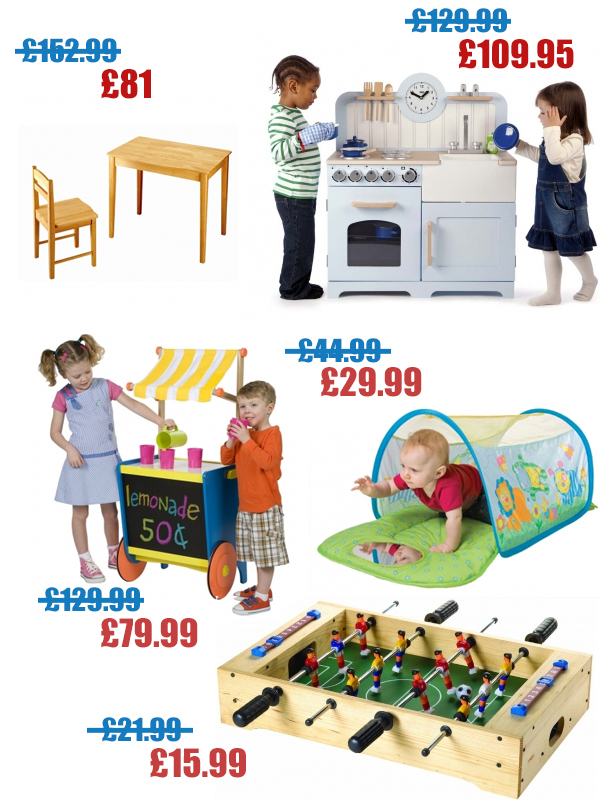 There are plenty of bargains to be had in our Summer Toy Clearance. 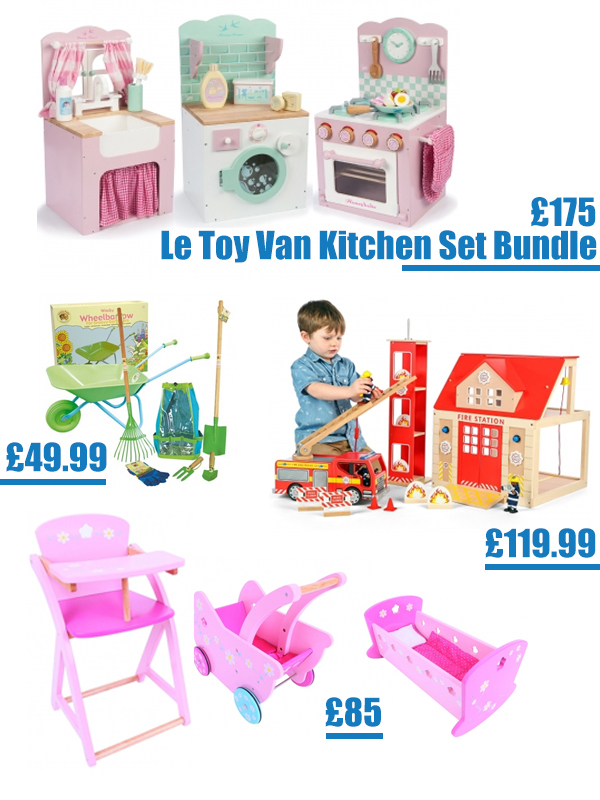 From educational toys to quality gifts and presents, thereâ€™s something in our sale for everyone! 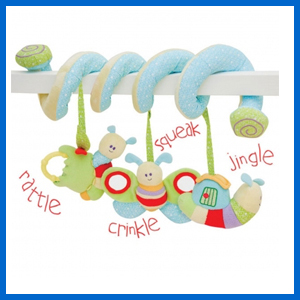 OurÂ Soft Activity Spiral withÂ curiousÂ caterpillarÂ and his little friends is from British toymaker Little Bird Told Me. The Snail, Butterfly and Caterpillar hang down to encourage little ones to reach and grab as well as well as look at themselves with the baby safe mirrors. 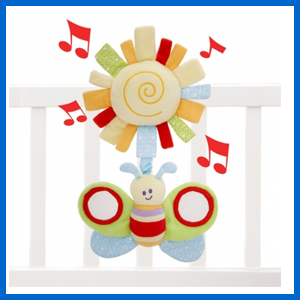 OurÂ Breezy Butterfly Musical Pull ToyÂ from Little Bird Told Me can be attached to cots, car seats, pushchairs and baby gyms. 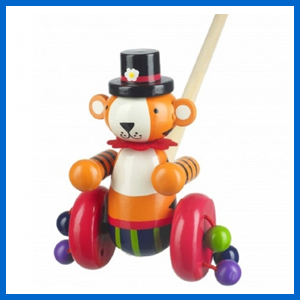 The pull toy helps baby to reach, grab and explore at the same time playing a musical melody. This wonderfulÂ Crocodile Wooden Rattle ToyÂ from EverEarth is made with your baby's needs in mind. 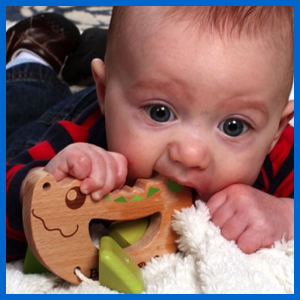 This toy is made from unbleached hardwood, and colored with water-based stain so your baby or child can rattle away and safely use it for teething. 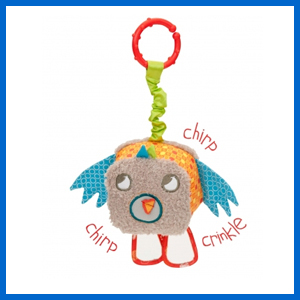 OurÂ Chirping Birdy Bear ToyÂ can easily be attached to pushchairs, car seats, cots and playgyms using the flexible teething ring. As he bounces up and down, he makes a chirping sound. He has crinkle in his wings and has mirrors on his dangling legs. TheÂ Softly Snail Activity Fun HouseÂ from Little Bird Told me is full of activities and fun surprises, to excite, stimulate and delight young children! 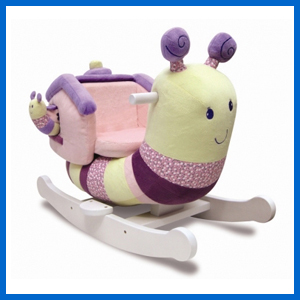 Her antennae rattles and squeaks and you can pull her along on her removable wooden wheels. OurÂ Luxury Cot MobileÂ is made by the British toy maker, Little Bird Told Me. 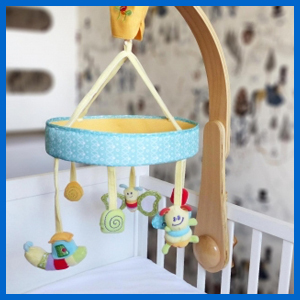 The Luxury Cot Mobile has a stylish, curved wooden arm, fabric curious caterpillar characters and has a traditional wind-up music box which makes the characters gently rotate as the soothing melody plays. 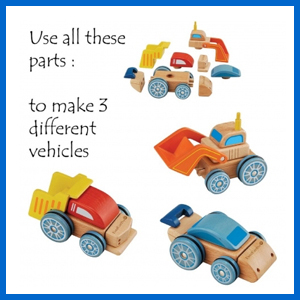 Use the 8 colourful wooden pieces included in this set to make one ofÂ three Interchangeable Cars.Â Your young one can use any number of combinations to make a digger, a dump truck, a car, or mix and match to create whatever they may imagine. TheÂ Noah's Ark play set by EverEarthÂ is a wonderful way of introducing your child to one of the Bible's most popular stories. This lovely boat, or ark, and ladder comes with 6 sets of wooden characters including male and female lions, elephants, crocodiles, giraffes, zebras, and of course Noah and his wife. 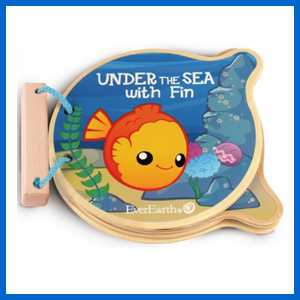 This oceanic themedÂ wooden book by EverEarthÂ is sure to become one of your child's favorite bedtime stories. Filled with lovable characters such as Fin the Fish, this book allows young children to go on an undersea adventure as they learn about life below the ocean waves. Fun fun fun on the autobahn! 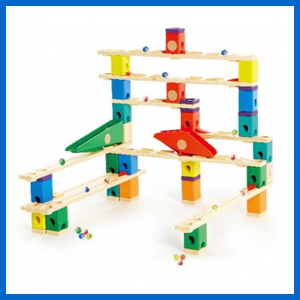 This brilliantÂ Quadrilla Autobahn marblerun is a 175 piece wooden marble set designed to introduce children to the joys of planning and building their own marble runs. This entry was posted in Discounts!, News and tagged sale, toys, gifts for children, wooden on August 11, 2015 by Kerry Berry.